The Representative Office of Canada in Ramallah, in accordance with the Oslo Accords, is responsible for the delivery of Canada's economic and development assistance to Palestinians. On October 18, 2010, Canada’s newly appointed Representative to the Palestinian Authority, Mr. Chris Greenshields, presented his credentials to President Mahmoud Abbas in a ceremony at the President’s Office in the Muqatah. In presenting his letter of introduction, Mr. Greenshields emphasized how the Canadian Representative Office has sought to help advance the situation of Palestinians and the aim of peace in the Middle East. Mr. Greenshields is a career diplomat who joined the Department of External Affairs in 1976 and served abroad in Cairo, Vienna, Bonn, Tel-Aviv and Berlin. At headquarters he served in a number of capacities, most recently as the as Director of the International Education and Youth Division. Canada's relationship with the Palestinian Authority is positive and moving forward. In 2007, Canada welcomed the leadership of President Mahmoud Abbas and Prime Minister Salam Fayyad in establishing a government committed to non-violence, recognizing Israel, and accepting previous agreements and obligations. In accordance with the 1993 Oslo accords, Canada's Representative Office in Ramallah is responsible for the delivery of Canada's economic and development assistance to the Palestinians in the West Bank and the Gaza Strip. The Palestinian General Delegation, which opened in Ottawa in 1995, represents Palestinian interests in Canada. Canada is committed to the goal of a comprehensive, just and lasting peace in the Middle East, and the creation of a viable, independent and democratic Palestinian state living side by side in peace and security with Israel. Canada believes that a just and lasting peace can only be achieved through a negotiated two-state solution. Canada supports renewed efforts on the part of the Palestinian Authority and Israel to engage in negotiations. Canada welcomed the commitment of both the Israeli and the Palestinian leadership to resume negotiations towards a peace agreement during the Annapolis Conference in Maryland, U.S. in 2007, and reiterated its willingness to assist the parties. On December 17 of that year, Canada announced a contribution of $300 million over five years in support of the peace process and of Palestinian reform and development in the priority areas of security, governance and prosperity. Canada is a strong supporter of Palestinian security system reform, particularly through Canadian Forces Operation Proteus, which aims to build a Palestinian security force, and through our contribution to the mission of the U.S. Security Coordinator, Lieutenant General Michael R. Moeller, and to the European Union Police Coordinating Office for Palestinian Police Support. Canada also contributes to the reform of the Palestinian Authority, notably in the justice sector, where it is working in partnership with Palestinian institutions to improve the rule of law. Main initiatives include providing assistance to improve forensic and crime scene investigation services; strengthen prosecution services and the Office of the Attorney General; train judges; build courthouses; and improve access to justice for the Palestinian population. In line with Palestinian development priorities, Canada supports private sector development as a major driver of sustainable economic growth, employment and stability. In doing so, Canada focuses on helping to develop a more investment-favourable business environment in the West Bank. Additional Canadian assistance is provided in order to address urgent humanitarian needs in the West Bank and Gaza. Canada's support focuses on improving food security for vulnerable Palestinians, including refugees, and improving access to basic health, education and mental health services for children and youth. Canada began a bilateral assistance programme in the West Bank and Gaza following the Oslo Accords. Since 1993-1994, the Canadian International Development Agency (CIDA) has provided more than $500 million for development initiatives in the West Bank and Gaza, assistance to Palestinian refugees, and support to the Middle East Peace Process. Over the past several years, the Canada-Palestine bilateral relationship has benefited from increased ministerial contacts. Since 2009, Minister of Defence Peter MacKay, Minister of Citizenship, Immigration and Multiculturalism Jason Kenney, and then President of the Treasury Board Secretariat Minister Vic Toews all visited the West Bank. Palestinian President Mahmoud Abbas visited Canada in May 2009, where he met with Prime Minister Stephen Harper and opened the new Palestinian General Delegation mission in Ottawa. Prime Minister Harper and President Abbas met again in September 2010 on the margins of the United Nations General Assembly. The Palestinian Minister of Justice, Dr. Ali Khashan, also visited Canada in 2008. Pursuant to the Paris Protocol, Palestinian exports to Canada benefit from preferential treatment offered in the 1997 Canada-Israel Free Trade Agreement (CIFTA). Furthermore, in 1999, Canada concluded the Joint Canadian-Palestinian Framework on Economic Cooperation and Trade with the Palestinian Liberation Organization (PLO) on behalf of the Palestinian Authority (PA), which confirmed PA approval of the application of preferential tariffs and any future concessions under CIFTA to goods produced in the West Bank and Gaza Strip. The Canadian International Development Agency (CIDA) is the principal vehicle of Canada's official development assistance around the world, committed to supporting sustainable development, reducing poverty and providing humanitarian assistance in order to promote a more secure, equitable and prosperous world. On December 17, 2007, at the Paris Conference of donors, Canada announced it would provide $300 million over five years for development assistance in the West Bank and Gaza to support the overall goal of building a democratic, peaceful and prosperous Palestinian state. Help meet the humanitarian needs of Palestinians through the United Nations agencies, international organisations and other non-governmental organisations." The Canada Fund for Local Initiatives (CFLI) is a financial assistance program administered by the Canadian Representative Office in Ramallah. The goals and priorities of the fund are set on an annual basis.. The CFLI encourages small-scale projects from $20,000 CAN to $50,000 CAN. Recipients are expected to contribute to the total costs of the project. Their contribution can be in cash or in kind (i.e. in the form of facilities and equipment). The activities of the financed project must be completed within 12 months. Proposals must meet the goals stated above and all the criteria outlined in the CFLI Application Guideline. I hope that you will find the website a valuable source of general and specific information on the programs of the Canadian Representative Office in Ramallah, West Bank. Through its links, you will also be able to access information on Canada itself and on the domestic and foreign priorities of the Government of Canada. The relationship between Canada and the Palestinians is a strong one. The establishment of a Representative Office in February 1999 is a testimony of the strength of that relationship. Through its $300 million commitment over five years, Canada is also actively supporting the efforts of the Palestinian Authority to build strong institutions in the priority areas of security, governance and prosperity. While trade between Canada and the Palestinians is modest, we encourage links between Canadian and Palestinian companies. 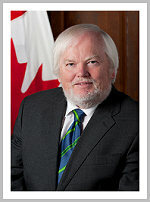 For more information, visit the Canadian Trade Commissioner Service Web site. Canada offers many opportunities to come study in one of its many universities and colleges. For more information, visit the Education in Canada website and the International Scholarships web site. With a staff of more than 25, the Representative Office delivers programs and services in the areas of consular affairs, political and economic relations, trade and business development and development cooperation. If you are a Canadian resident of the West Bank or Gaza Strip, I urge you to register with our Consular section, and to regularly stay in touch with the Representative Office during your time here. You may do so through the link by visiting the Representative Office, or by telephoning us at +972 2 297-8430. Registering with the Representative Office is important, as it is the only way for us to have accurate knowledge of Canadians present in the area. If you are not registered, it will be very difficult to contact you in the event of an emergency. The Representative Office staff and I are proud to represent Canada in the West Bank and Gaza Strip. Thank you for your interest in the Representative Office. Please let us know if you require additional information, or if you have suggestions on improving the website.